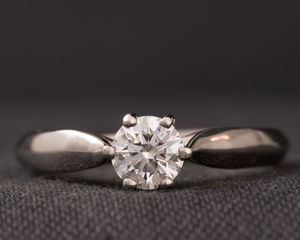 Classic and yet different, this Diamond set engagement ring has an unusual and unique touch. 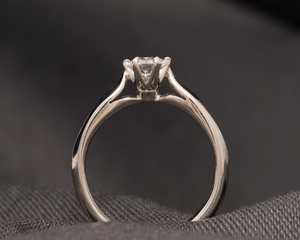 It does not only stand out due to its form and flow but also due to the nature of the metal we decided to use. 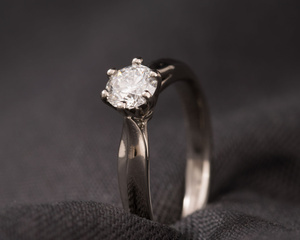 The high Palladium content in the White Gold ensures that the ring does not require rhodium plating. Made from sustainable and ecologically friendly mined Argentinean Wash-Gold and set with a Canadian Diamond, which is amongst the most responsibly sourced Diamonds available, this engagement ring encompasses a sense of timelessness and continuity.